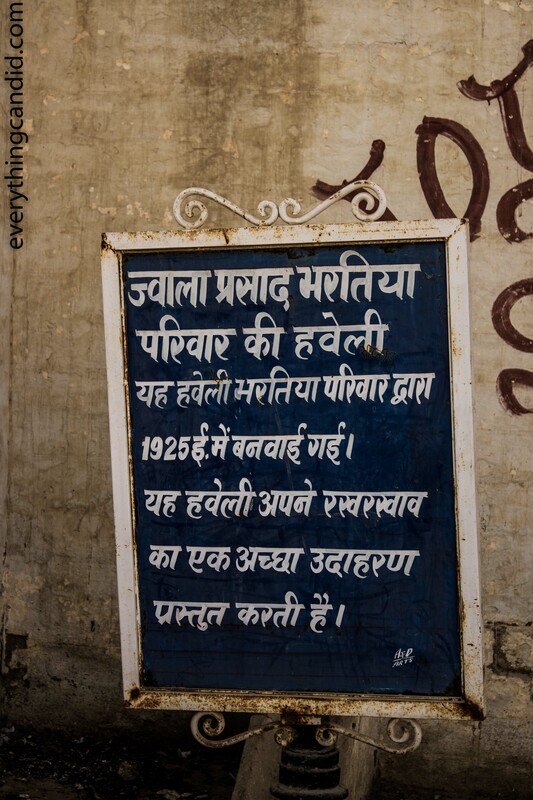 Our tryst with Havelis started when, inadvertently, we reached Mandawa on our way to Bikaner. 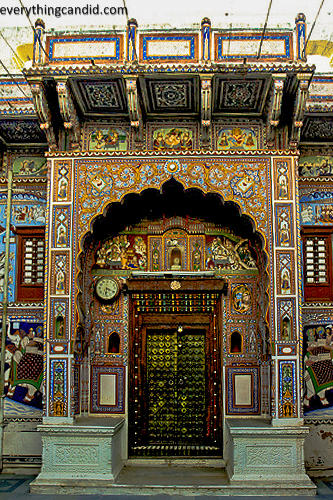 Mandawa is a part of Shekhawati region of Rajasthan which is recognized as the Open-Air Art Gallery of The World due to the largest concentration of the frescos in this region. The grand Havelis of this region are adorned with murals, intricate artwork, paintings inspired by a mix of Rajput-Mughal-British Architectures, however; truly representing enterprising and entrepreneurial spirit of trader community of the India and specially Rajasthan. The Shekhawati region has produced large number of traders and merchants who are dominant factor in the economy of India since ages controlling major part of Indian Business. On our road trip to Bikaner and Jaiselmer from Delhi, exploring Havelis was not at all in our plan. During the course of this self-drive road trip when we enter Rajasthan it was, however, just not possible to miss these lavish mansions and that’s what I like about the self drive road tripping as it gives freedom to explore places at will. 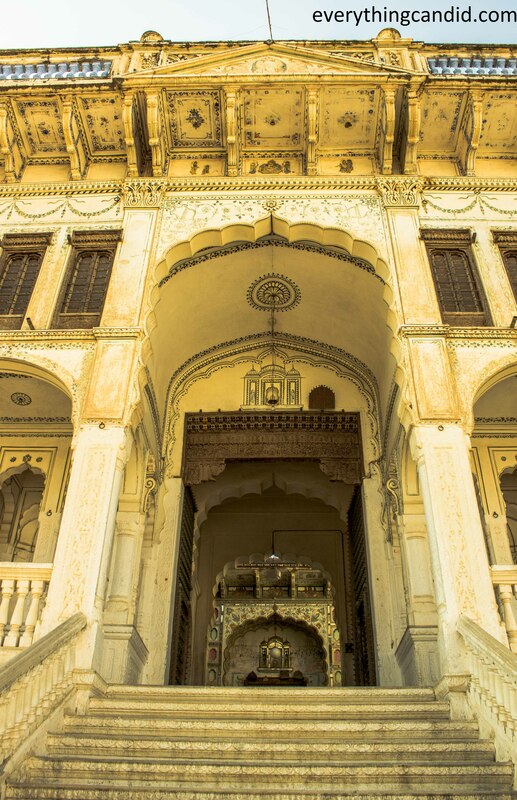 The en-route presence of these grand and colorful havelis intrigued us to the core and we stopped involuntarily to appreciate these architectural marvels. 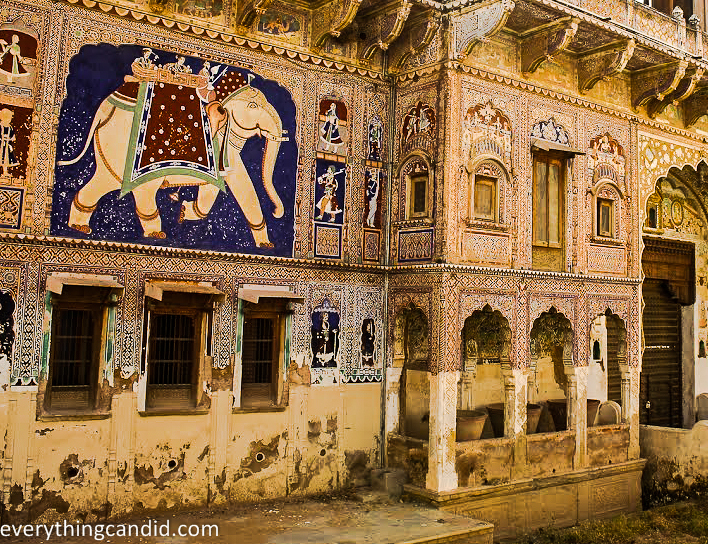 The Havelis from Shekhawati regions are famous for their frescos depicting theological and historical themes. 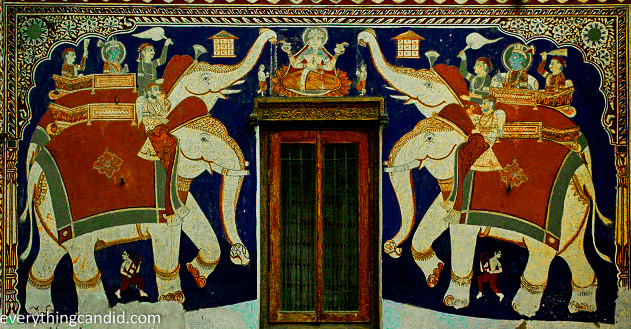 The colorful frescos on the wall of Havelis and temples depict images of gods, goddesses, animals, and the life of the Hindu gods profusely painted by the commissioned artists. 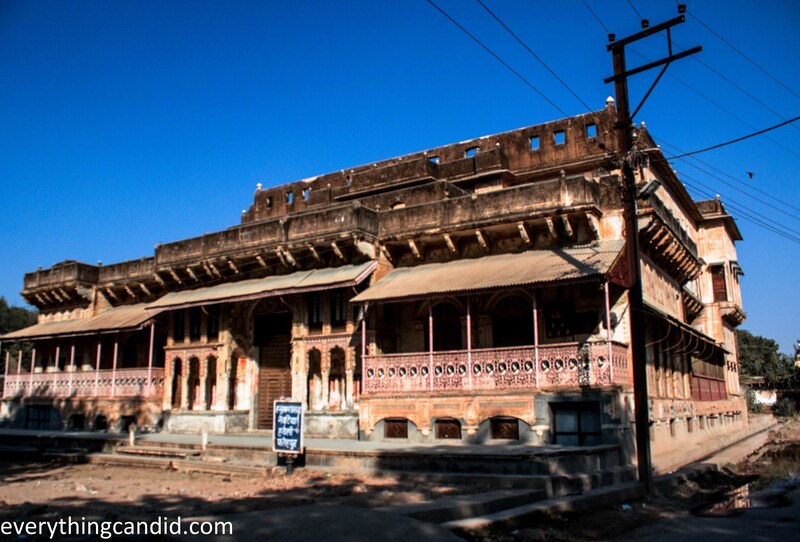 Our first stop was the fort town of Mandawa in Jhunjhunu District of Rajsthan located on National Highway 11. Once upon time, Mandawa was a trading outpost for the ancient caravan routes that stopped here from China and the Middle East to Delhi Sultanate and towards Ports of Gujarat. 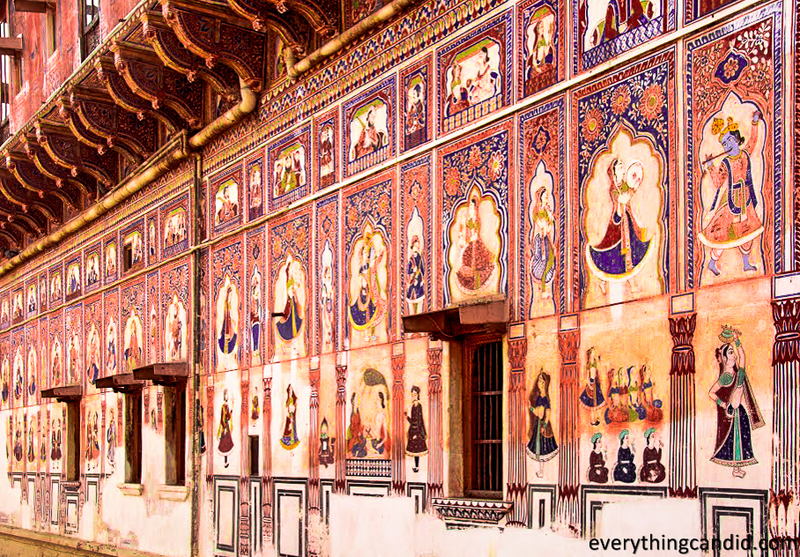 Due to this vantage position, merchants from Shekhawati known as Marwaris prospered and they built many grand Havelis as a show of their opulence making entire town of Mandawa looks like a big mural symphony. Mandawa Haveli Built in 1890, now converted into Hotel. After leaving Mandawa and moving towards Bikaner, we reached Fatehpur which otherwise is a quaint town but home to some of the best kept Havelis of Shekhawati region. Fatehpur is also home to Nadine Le Prince Haveli Cultural Centre which was originally a haveli and converted & restored into Cultural Centre. This cultural centre is involved in restoring the Havelis and thus preserving unique heritage of Rajasthan. One of the best kept Havelis! Delicately painted, intricately carved, Havelis of Shekhawati are now the key tourist attractions of Rajasthan and stand tall as priceless pillars of Indian Heritage Treasure. Even after having withstood centuries, they still look gorgeous evoking emotions mixed with pride and awe and a bit of thrill. 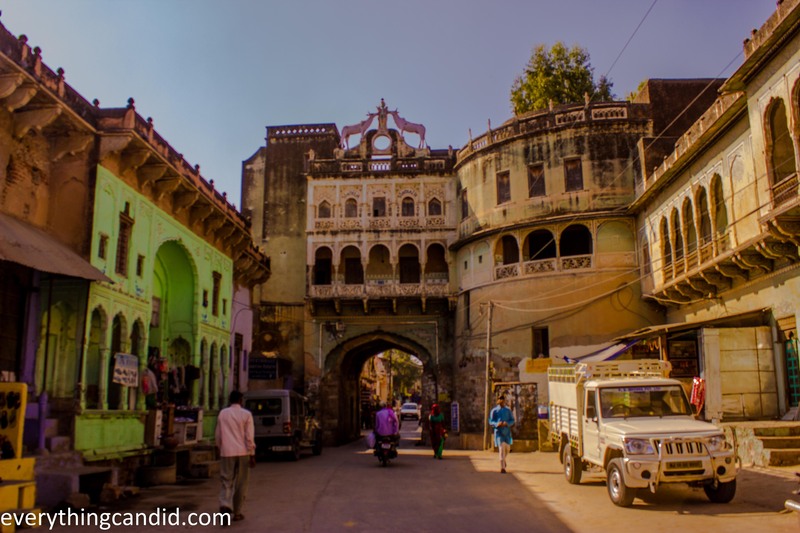 Other than Mandawa and Fatehpur, Shekhawati region has other small towns known for Havelis Frescos specially Nawalgarh, Ramgarh, Dundlod, Mukundgarh which we will definitely cover in next road tripping to Rajasthan. 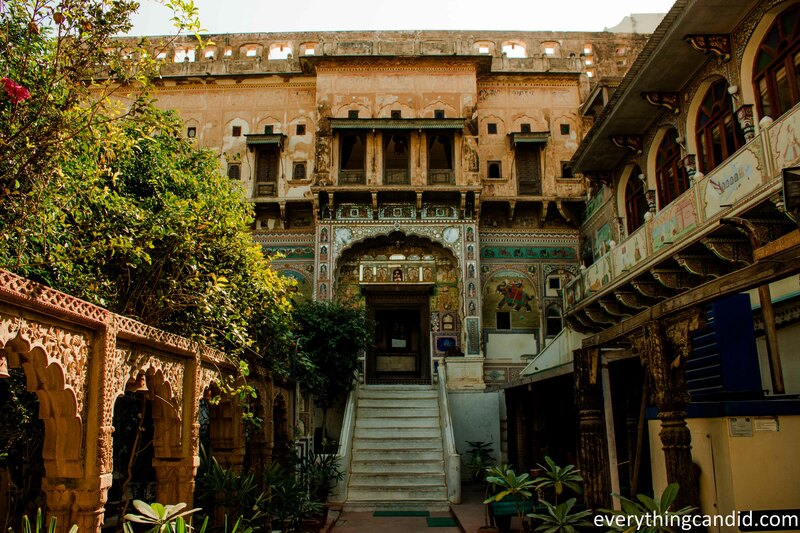 By the time we reached Bikaner in the evening, Havelis of Shekhawati Region had captured a unique positioning in our minds and certainly for every traveler, exploring Havelis in Rajasthan qualifies as a must to do. If you feel motivated, please share this blog post with your loved ones so that they can break the mundane cycle of everyday life and explore the world. Thanks for dropping by and liking. WIll surely check your post. Cool! Love the havelis of Rajasthan! Thanks Renuka! I am glad you like it. going to read your post ASAP. Thanks fr visiting. C u more often! Rajasthan is full of such surprises!! Beautiful post and photos Himanshu. Seems like one could spend a month in Rajasthan and still only scratch the surface of what there is to see! Lovely photos ! I would love to visit Fatehpur and Mandwa. Mandwa was a total revelation for me 🙂 Thanks ! 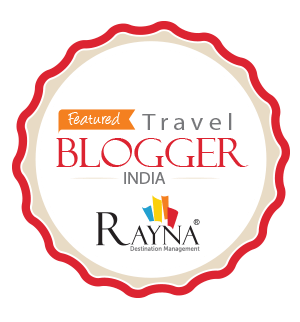 Do check out my posts on Rajasthan too ! Totally love the state. I love the photos on your post and would love to travel to these places. Mandwa was a total revelation for me. Beautiful murals and structures. That’s one of many reasons I am so fond of Rajasthan 🙂 Thank you for sharing! Beautiful murals and structures. That’s one of many reasons I am so fond of Rajasthan. Thank you for sharing such wonderful pics and information. Thanks for your appreciation. Sheer motivation for me! Thanks Carl. Your everyday motivation keeps me going. Thanks for your continuous appreciation. It really means alot to me. I simply cherish old haveli architecture. The details and art on the wall is truly magnificent! Yes this region is indeed amusing. WOW! I would have gotten out of the car too. Love the elephants. 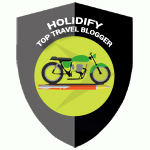 A very travel inspiring post. Thanks. Glad to know that i could inspire you. The murals are stunning and such a reflection of the local culture. I also prefer a self-drive trip because there’s more freedom when you want to make an unscheduled stop. Indeed, self drive is best mode of travel :). Good to have found you. I would consider myself lucky to visit a big mural symphony. Overall, the elephant art is very impressive. Thanks. This region of Rajasthan is rich in history and heritage. Thanks. Comments from you always inspire me. Oh, I’d love to see those frescoes! Sounds like a fascinating area. Its a hidden gem in the crowing glory of Rajasthan. A must visit. Thanks for dropping by. Comments from senior like you always motiavtes me. Such beautiful photos! I love the architecture and intricate details. So unique! Thanks. Glad that u like them. I just love this architecture. Plan and go there…this part of Rajasthan is mesmerizing.